On April 3, 1817 --- out of nowhere, a confused young lady suddenly showed up in Almondsbury, a small village few miles north of Bristol in England. She was dressed in a shabby gown and shawl and with a turban donned around her head, and looks utterly exhausted like she was just from a long journey. The lady was carrying only a small bundle of her belongings, along with a bar of soap and basic toiletries. What puzzles the villagers is that, she spoke a language no one could understand. Of course, the locals were most curious of her. As they assumed her to be some kind of beggar, they brought her to the overseer assigned at the local poorhouse. However, the overseer was suspicious of foreign agents due to the tense conditions after the Napoleonic Wars, so he turned her over instead to the Knole House, which is the palatial country residence of Samuel Worrall, the local magistrate. The magistrate summoned his Greek valet, who had considerable knowledge of Mediterranean languages, to have a go translating what the woman was saying, but to no avail. Trying to let her produce identification papers, they even did body language but the woman just emptied a few coins from her pockets. Worrall was skeptical, but his wife was feeling enthralled rather than alarmed. Mrs. Worrall then sent the mystery woman to spend the night at the local inn. While there, she refused a meal and only requested for a cup of tea. Then she recited a prayer with a hand over her eyes. She appeared to have recognized a hanging image of a pineapple on the inn's wall, that gave the locals a hint that she may have come from some faraway tropical land. And when she was ushered to her room for the night, she oddly stared first at the bed then curled up and slept on the floor instead. The following day, Mrs. Worrall beckoned the lady back to Knole House. Once there, she had pointed to herself while repeatedly uttering the word "Caraboo." Mr. Worrall was already fed up and believed her to be just acting out and so he had her arrested on a charge of vagrancy. "Caraboo" (was what they addressed her) spent some time in St. Peter’s Hospital for Vagrants in Bristol, until Mrs. Worrall interceded and had her removed to Worrall’s offices. By that time, news was already spreading about this Almondsbury’s mysterious woman, and dozens of prying locals went for a visit often bringing speakers of different languages with them. Despite having several visitors for the duration of her 10-day stay, still no one could understand her. Upon hearing word about the unusual stranger, Manuel Eynesso, a Portuguese sailor who happened to be in Bristol paid a visit to Worrall's office to meet with her. Having traveled far and wide, Eynesso allegedly claimed he recognized Caraboo’s spoken language as that of the native tongue from Sumatra. He instantly began translating her extraordinary story. Caraboo was no beggar, as interpreted by Eynesso. She claims to be a princess from the Indian Ocean island called “Javasu". 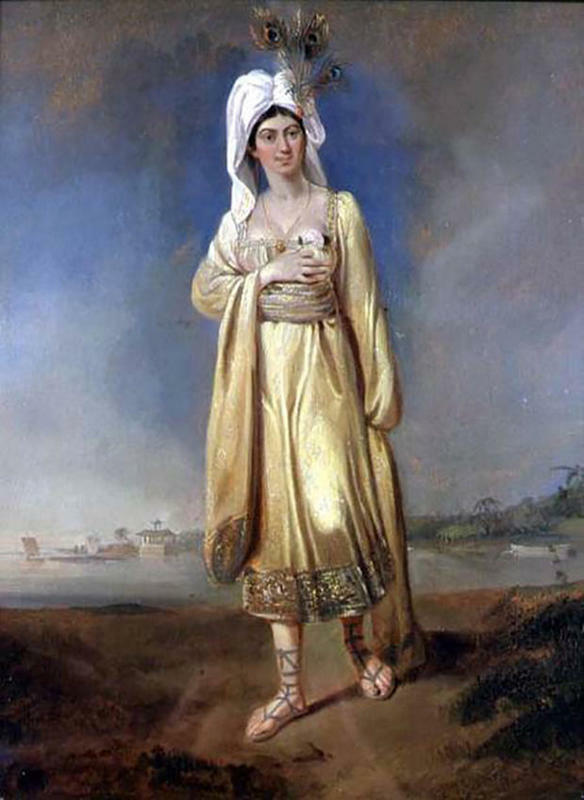 She explained to Eynesso that she was kidnapped by pirates and held captive but she managed to escape when she jumped overboard along the Bristol Channel. Then wandered across the countryside for six weeks prior to reaching Almondsbury. It was all that Mrs. Worrall needed to hear: that this stranger was royalty, and it would be such an honor if she were to stay at Knole House. The following 10 weeks got busy, parties and soirées were organized in Caraboo's honor, academics of high society fawn over her — amazed by the tale of the penniless beggar who eventually turned out to be a princess. Someone named Dr. Wilkinson wrote on her account, noting, “Nothing has yet transpired to authorize the slightest suspicion of Caraboo.” But everything was about to change. News of Princess Caraboo spread continuously and then a few weeks later, Bristol Journal featured a description of her. Incidentally, a copy found its way to Mrs Neal, a local boarding house owner, who instantly recognized Caraboo; however, not as a kidnapped Javanese princess. Mrs. Neale reckons that Caraboo was really Mary Baker, who was a former guest of her. She is a cobbler’s daughter from Witheridge, a small village 70 miles away. According to Mrs. Neale, the mysterious Princess Caraboo was a hoax. Soon, Mrs. Worrall heard of this message but was skeptical of Mrs. Neale’s version at first. So she had “Princess Caraboo” accompany her to Bristol to have her portrait painted as a charade for her actual plan. 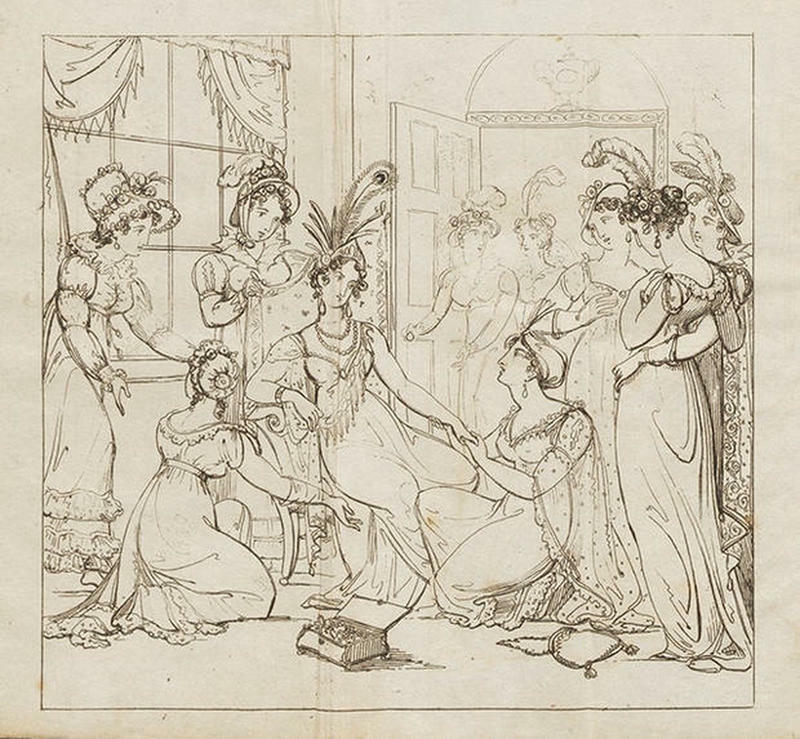 Mrs. Worrall intended on meeting with Mrs. Neale in person, then after a brief conversation, she was eventually convinced that “Princess Caraboo” was indeed an imposter. Once confronted by Mrs. Worrall, a remorseful "Caraboo"—a.k.a. Baker - admitted everything after months of deception. Mary Baker was from rural Devon in 1791. She had a squabble with her parents when she was younger. She had multiple jobs across the south of England before ending up impoverished and begging on the streets around Bristol by early 1810s. Then she realized there that posing as a foreigner, she elicits more sympathy (and thus, money) from the public. She came up with the character of “Princess Caraboo” while at Mrs. Neale’s guesthouse to entertain the children, this she applied to deceive the people of Almondsbury. "Javasu" really didn't exist. When news of Baker’s bluff broke, the press were suddenly on it again. Rather than turning it against her, Baker actually became a heroine. Most of the journalists spun the tale, remarking the triumph of the working classes over and above aristocracy. That an ill-educated, downtrodden girl, due to her own quick-wittedness and audacity, was able to infiltrate the highest of high society, therefore exposing their capriciousness and vanity. Baker’s success was even appreciated by Mrs. Worrall. Angry at first, Mrs. Worrall eventually realized Baker’s real-life story with compassion and open-mindedness. She decided to continue helping Baker make a better life for herself, and even raised funds for her to be able to relocate to Philadelphia by 1817 to have a fresh start. Arriving in America, Baker found an opportunity to use her infamy and decided to put on a short-lived stage show in New York with her Princess Caraboo character. In later years, she went back to England and staged the similar show in London, however it was only a marginal success because the Caraboo craze has subsided by then. During late 1820s, census records would show that Baker, now a widow named Mary Burgess, was back somewhere near Bristol, and selling leeches to the local infirmary as her means of living. 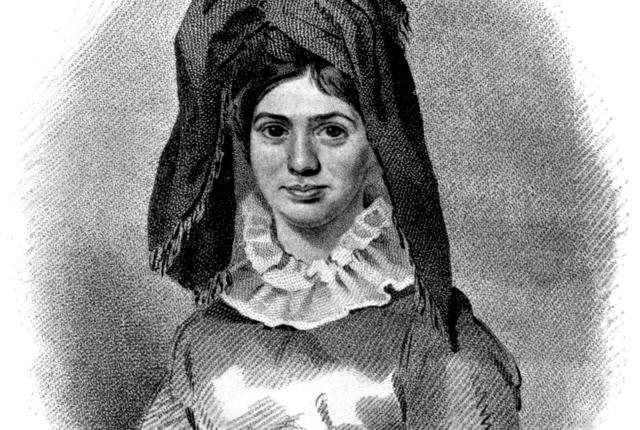 She went on to have that vocation for 30 years, then died of a heart attack in 1864—taking the mysterious character of “Princess Caraboo” along. Regarding the "Portuguese sailor" who faked translating her story, it still remains a puzzle how he could have discerned a made-up language — unless he was a con artist too.